The Nike Downshifter 8 is made from lightweight mesh in a minimal design. Cushioning that's even softer than before gives you comfort while you run and play. A durable, flexible rubber sole creates reliable traction. The Nike Downshifter 8 is made from lightweight mesh in a minimal design. Cushioning that&apos;s even softer than before gives you comfort while you run and play. A durable, flexible rubber sole creates reliable traction. Lightweight mesh is breathable and has overlays for support. Soft foam cushioning keeps you comfortable. Rubber sole provides great traction and durability. Grooves on the rubber make it flexible. Have your say. 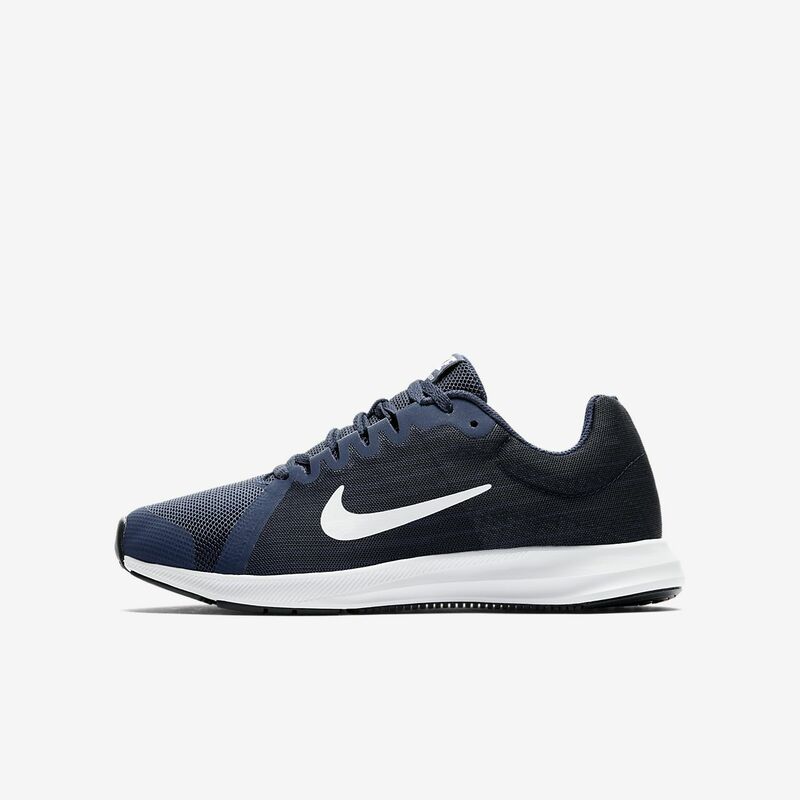 Be the first to review the Nike Downshifter 8.